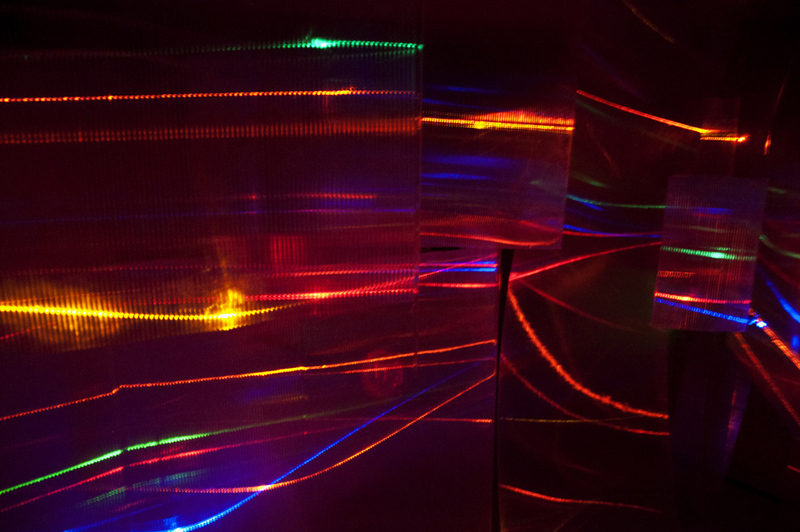 In this all-encompassing maze-like installation by Barbara Campisi, LEDs form colored lines of light when reflected off translucent ‘walls’, confounding any sense of orientation. The viewers, as they walk inside the piece, complete it through their process of discovery. During performances, dancers wearing lights move through and activate the light-based artwork, creating moving lines of light.